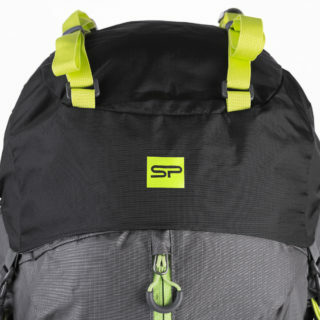 Spokey GR 65 touristic backpack has been designed for people planning a few days trip. Large capacity, properly selected carrier system and many pockets and accessories holders guarantee walking comfort. GR 65 rucksack capacity (65 litres) allows to pack all items needed for a several-day expedition. 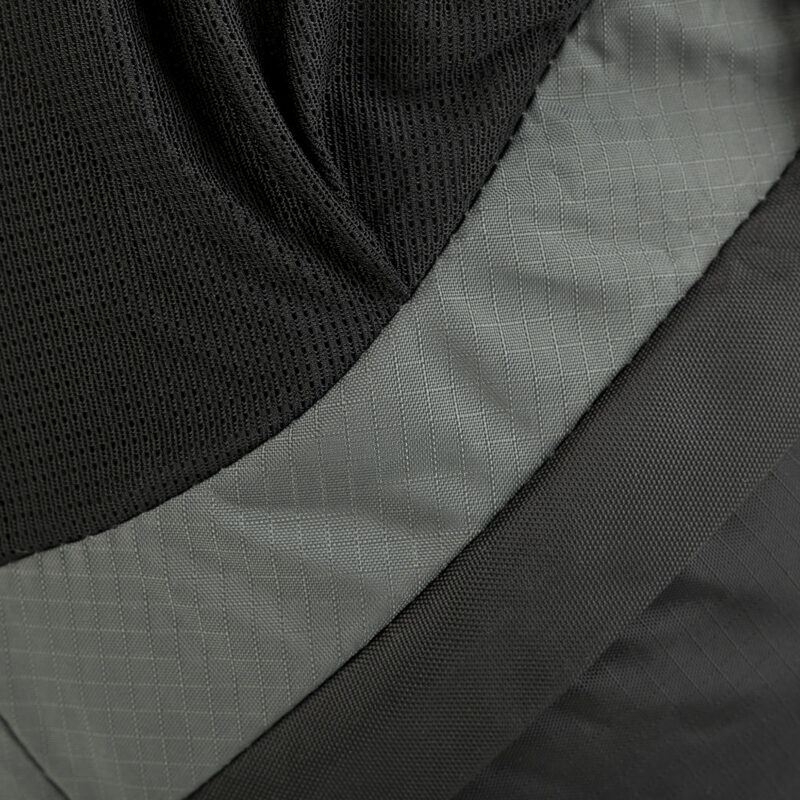 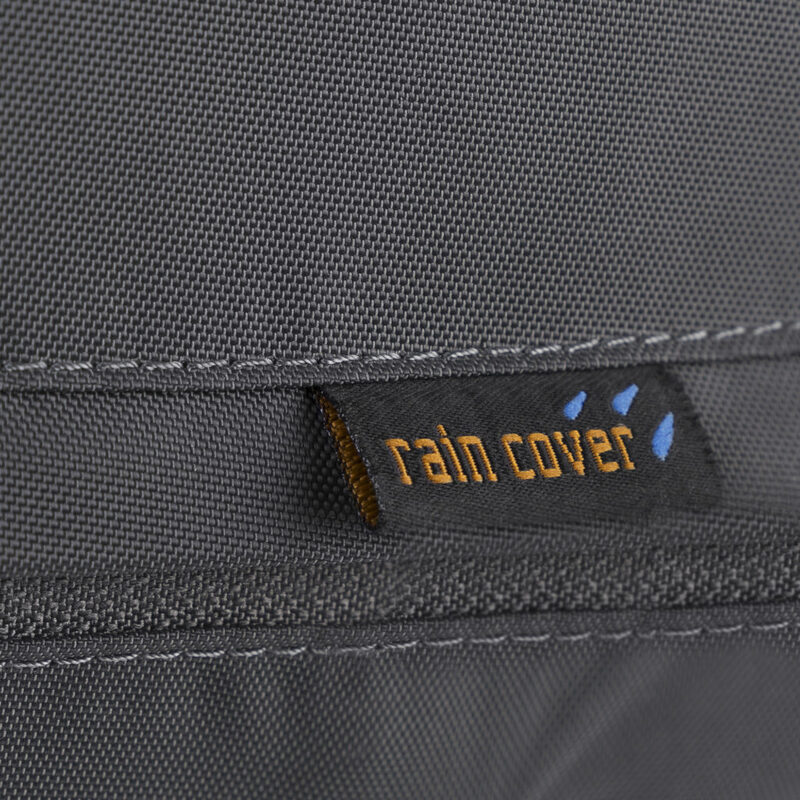 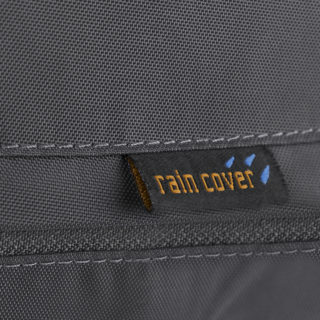 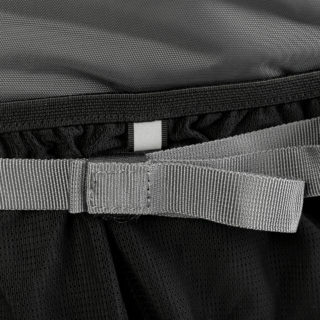 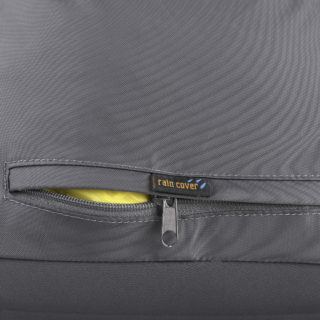 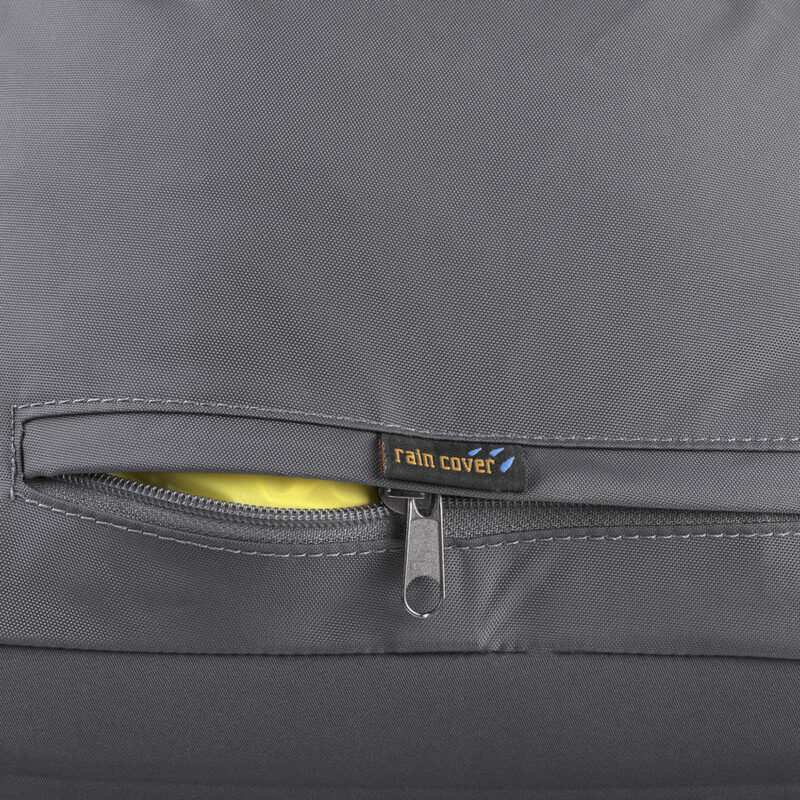 A long zip ensures easy access to the main compartment. 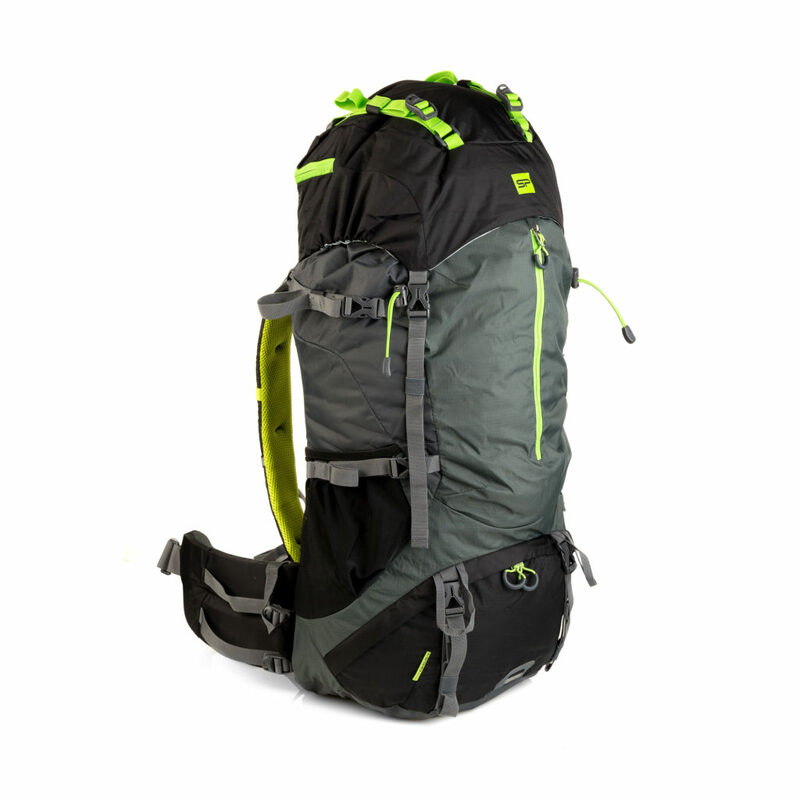 When planning long trekking, it is worth considering the carrying system of a rucksack. 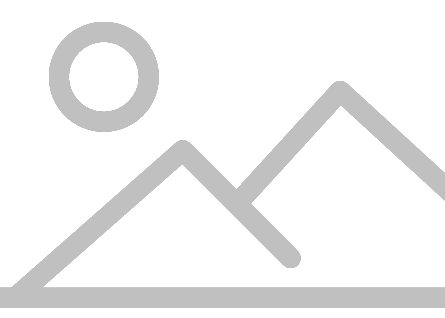 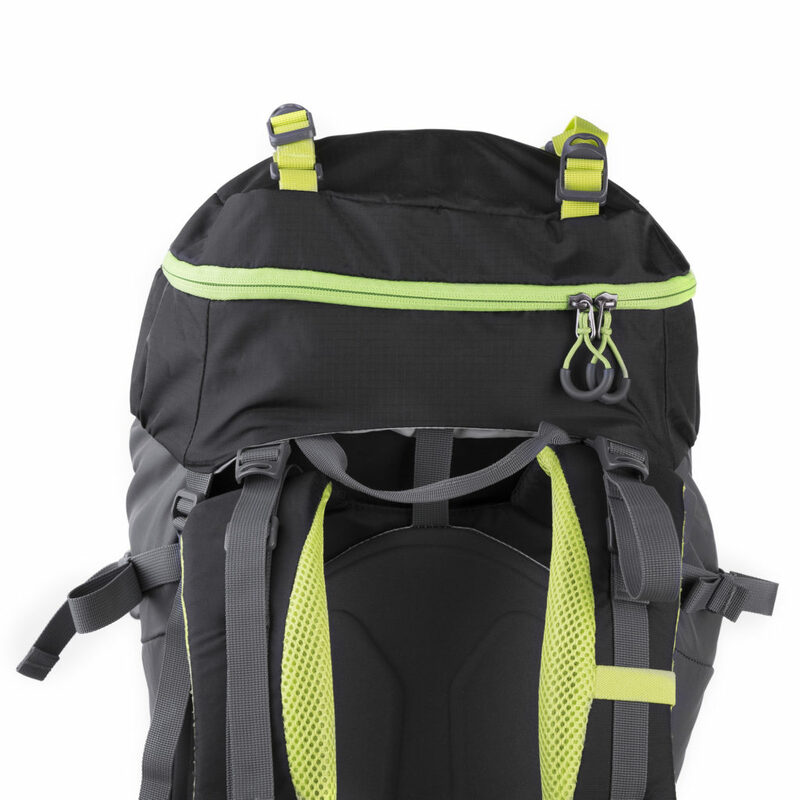 It decides about the load distribution, ventilation, and the adjustment method. 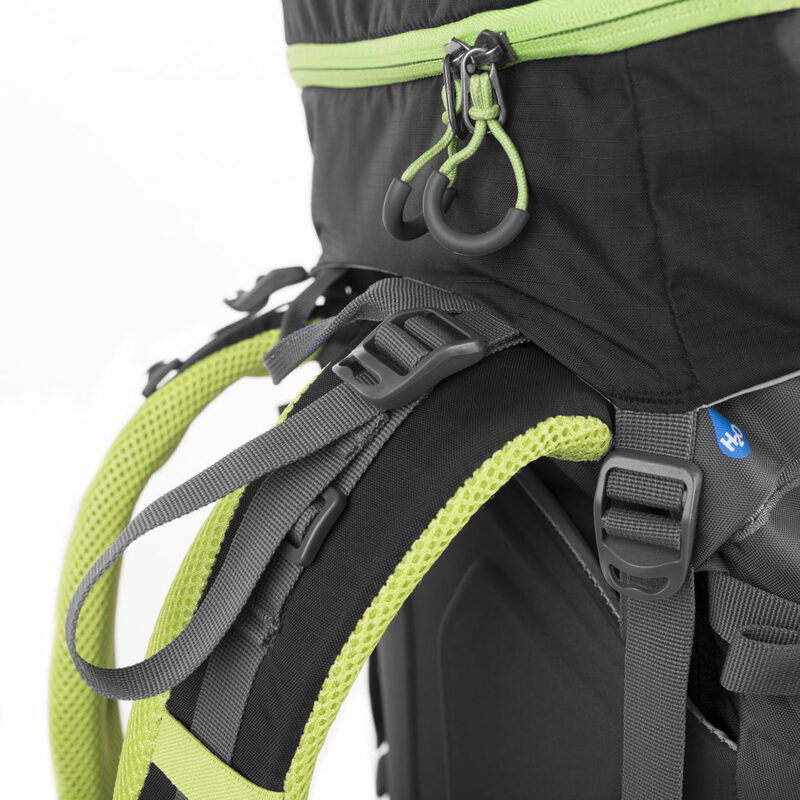 A simple, comfortable and reliable carrying system. The rigidity of the backpack is provided by the inner aluminium frame. 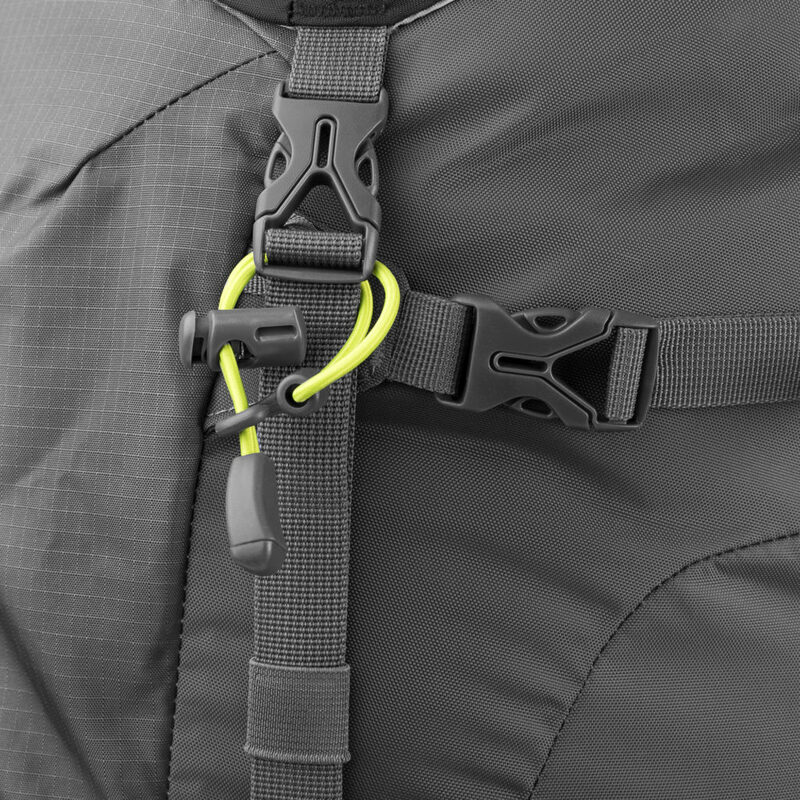 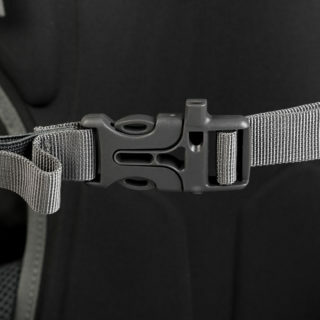 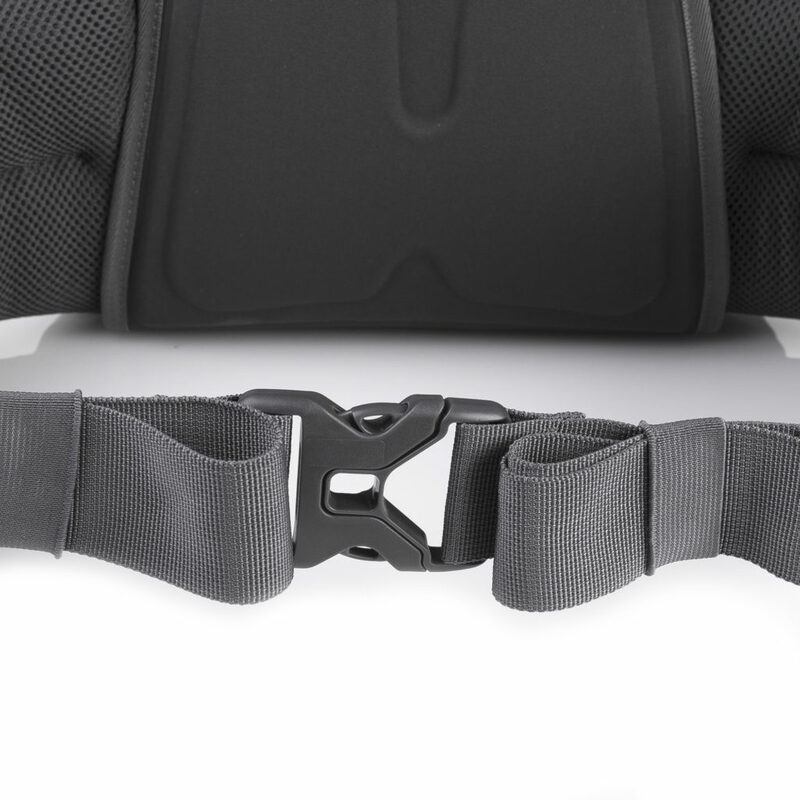 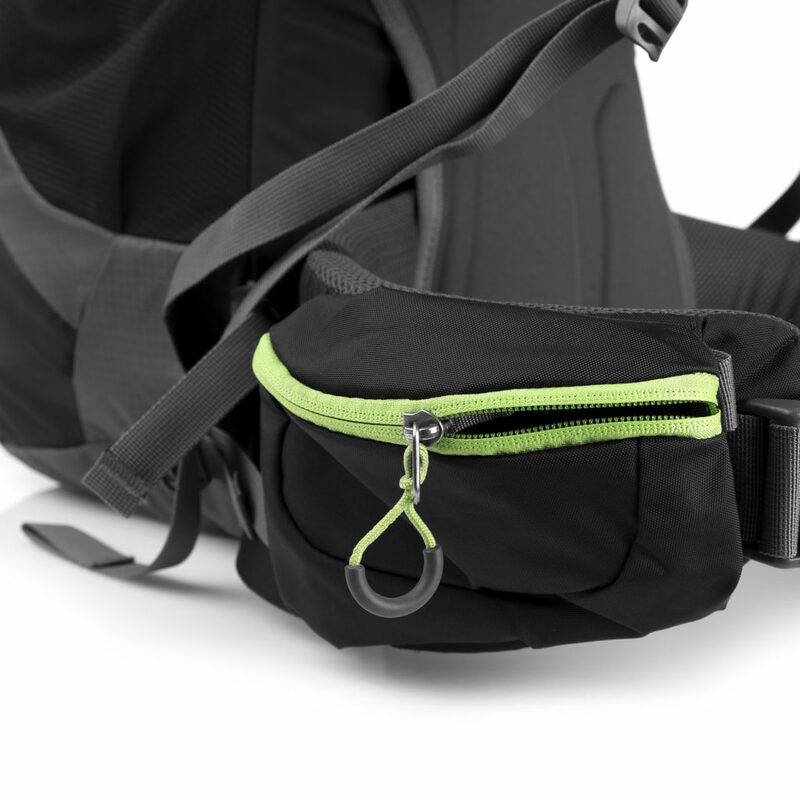 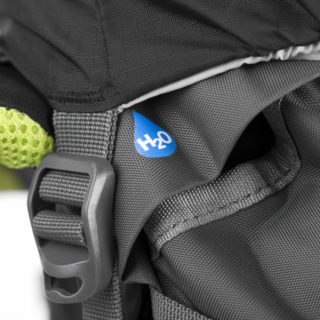 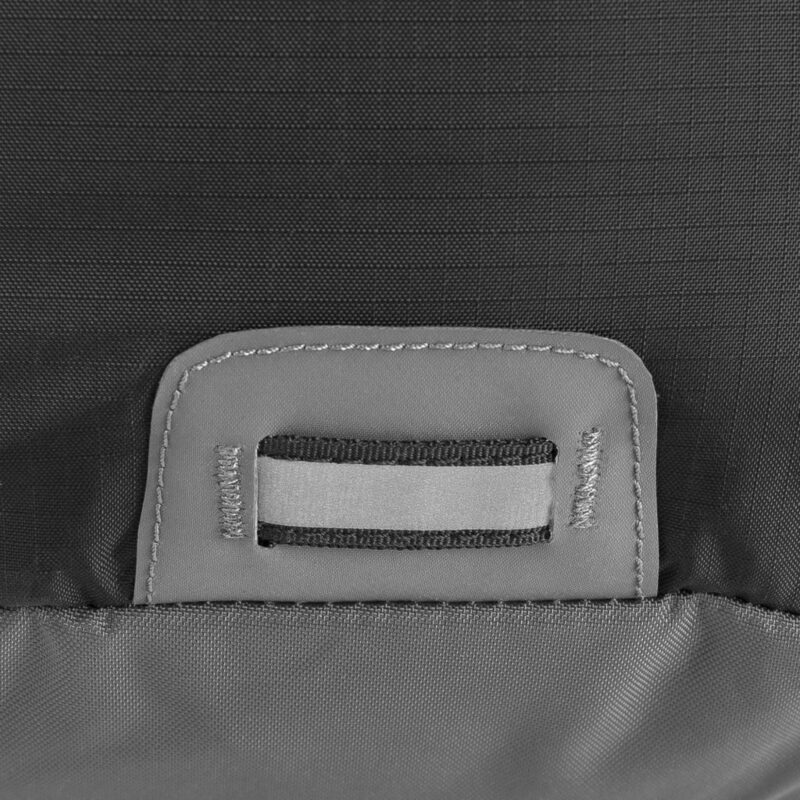 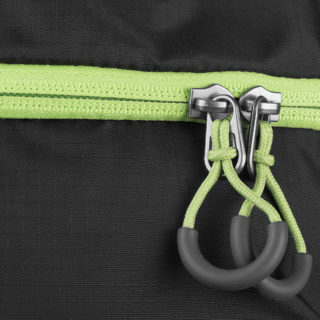 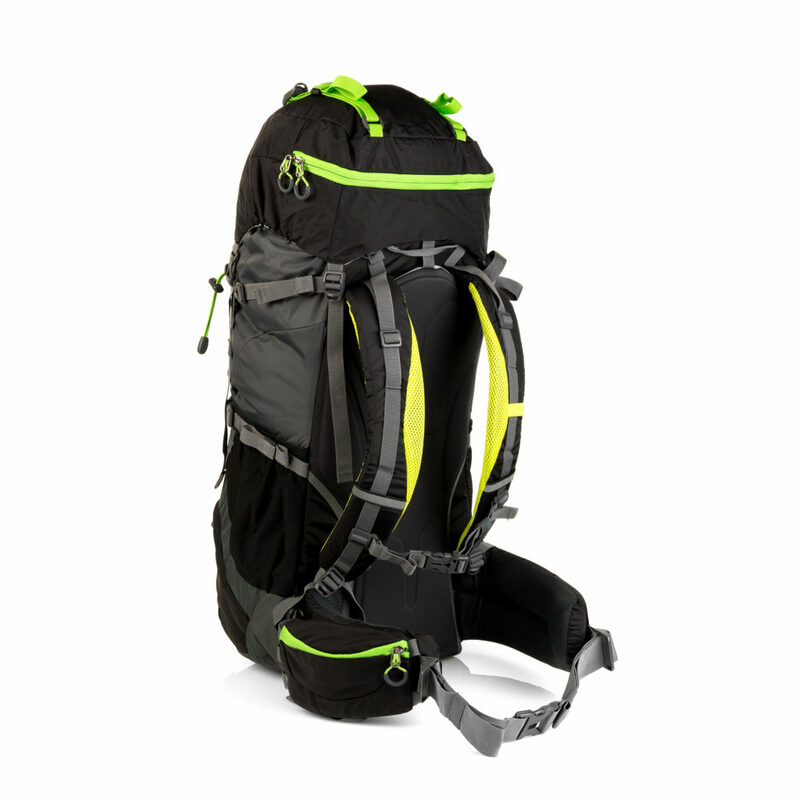 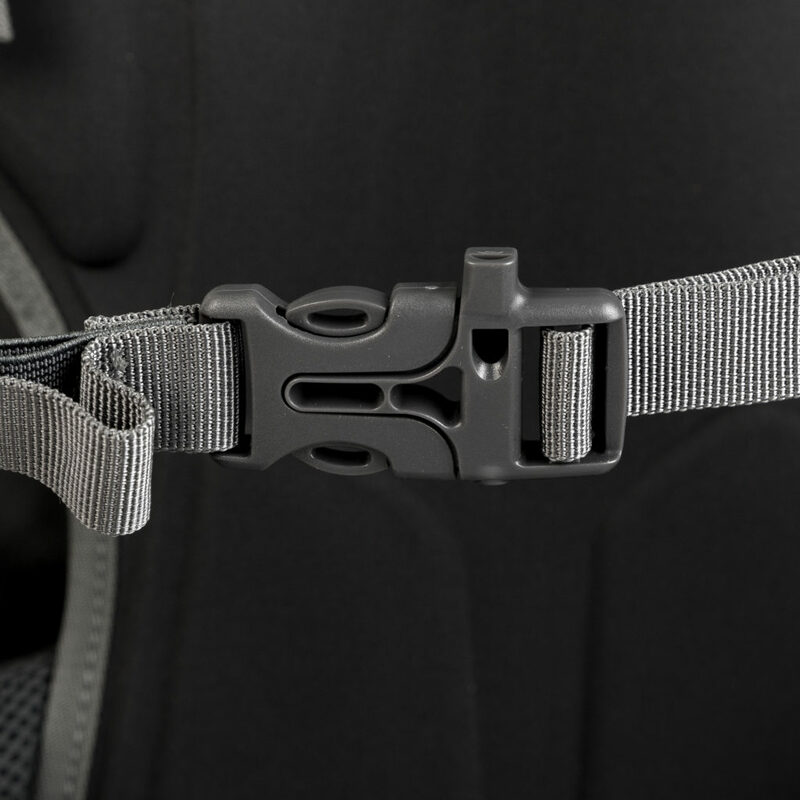 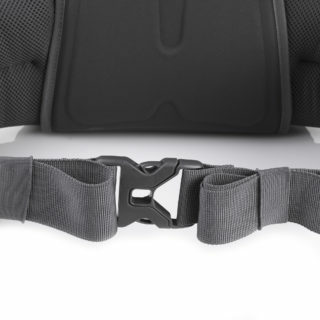 The back regulation system permits to fit the backpack properly as well as to distribute the load weight. 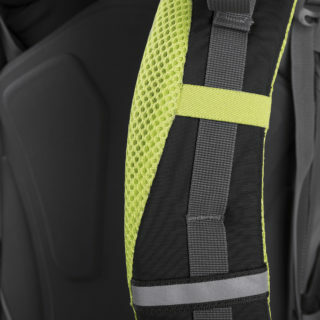 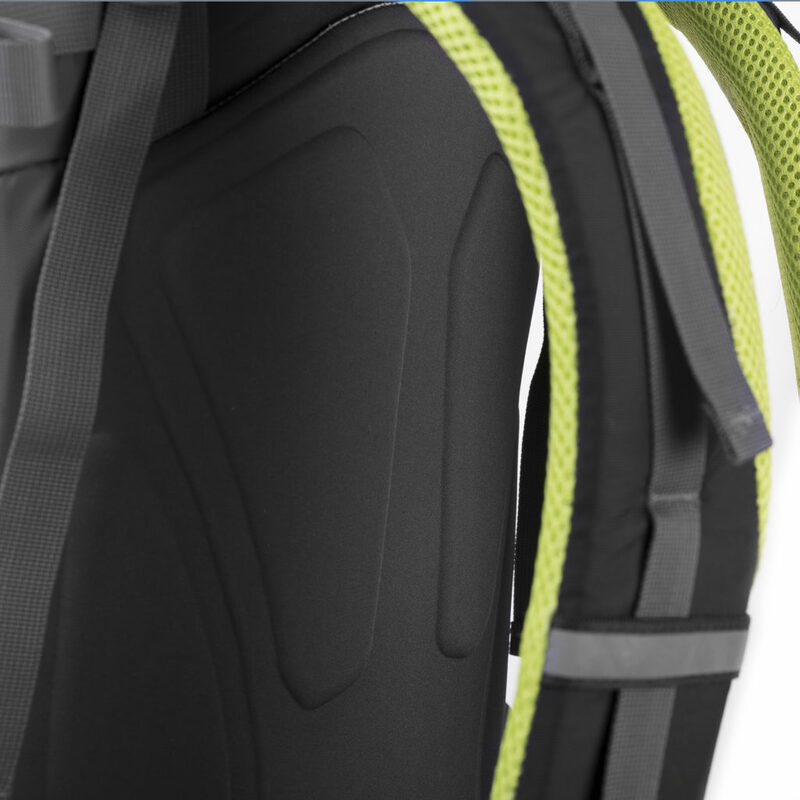 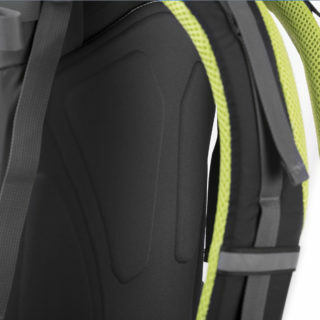 The backpack is adjusted and stabilized by shoulder straps, waist and chest belts. 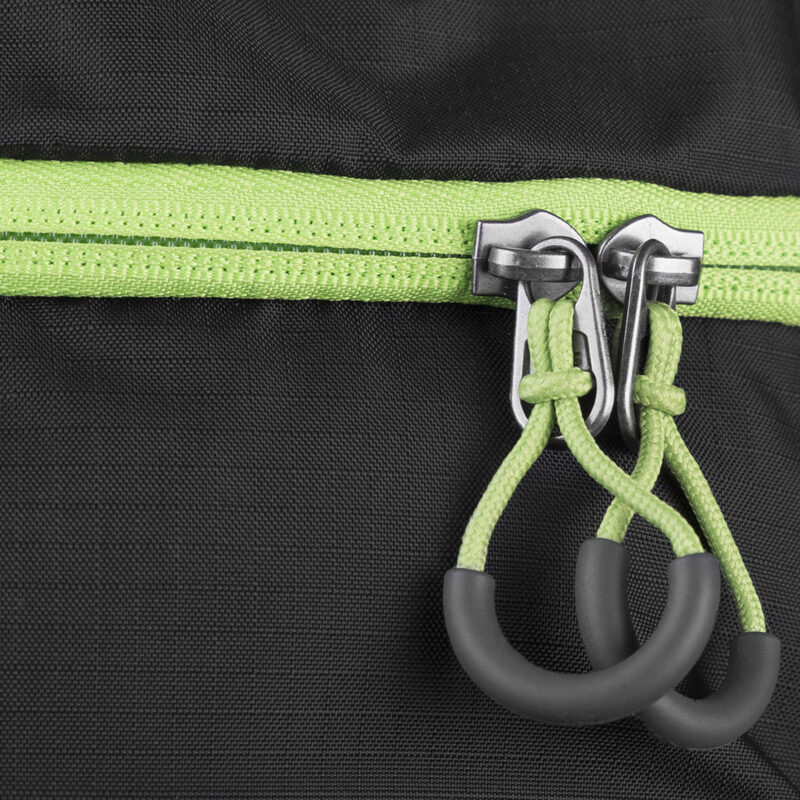 Zippers of a brand renowned for reliability, ensuring the highest quality and long service life of their products. 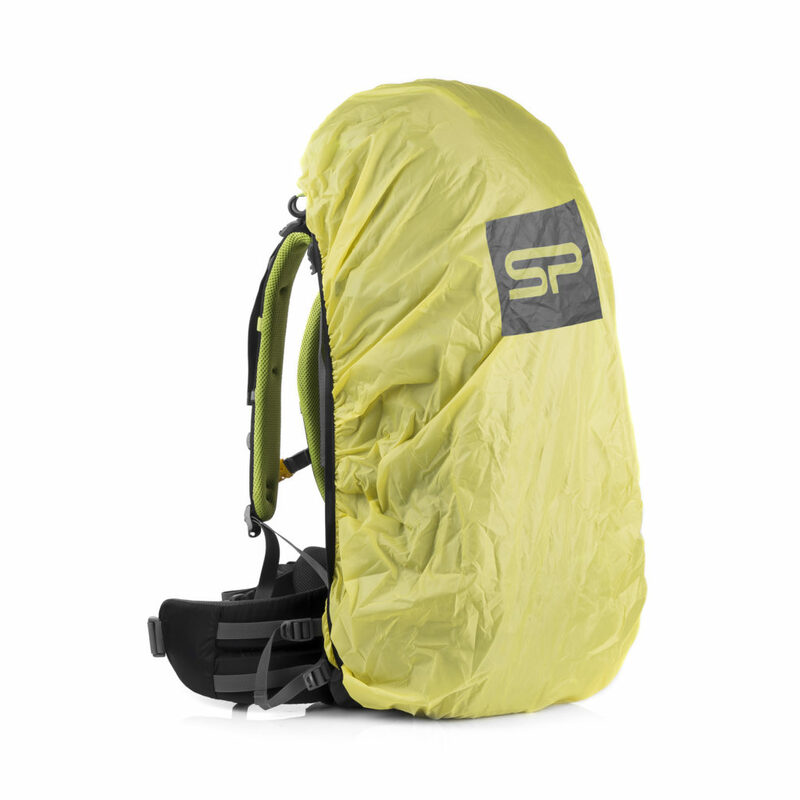 Backpack for multi-day hikes. 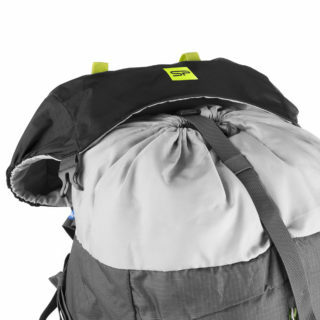 It will also work out on long trips.